TRANSFORMERS: THE LAST KNIGHT REVIEW: WHAT A MESS! 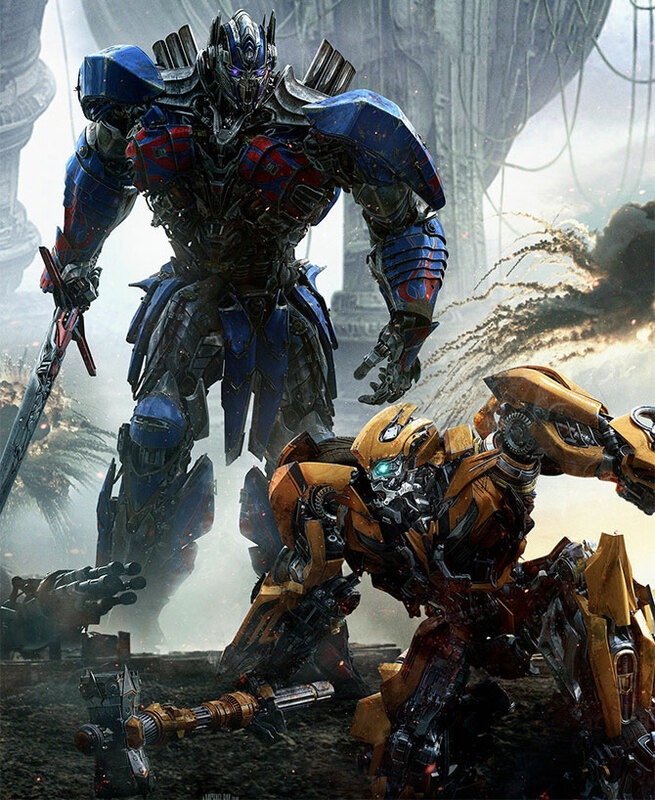 The film's unoriginal action and the plot-within-plot structure may prove to be its downfall, warns die-hard Transformers fan Rajesh Karkera. 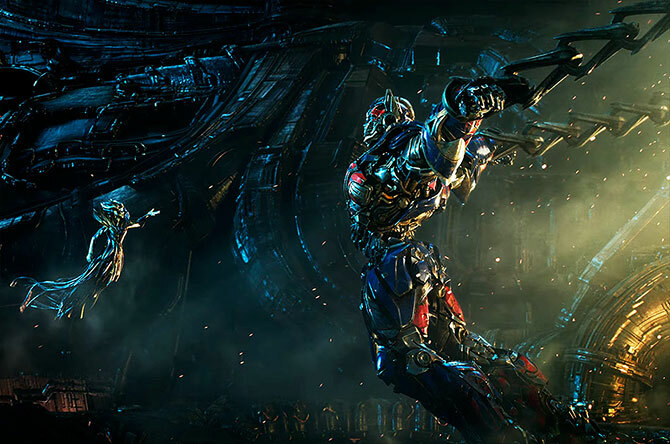 A spectacular shot of Optimus Prime imprisoned by his creator, Quintessa. Then came the trailers that looked like a jumbled up version of action sequences and booms and the bangs. 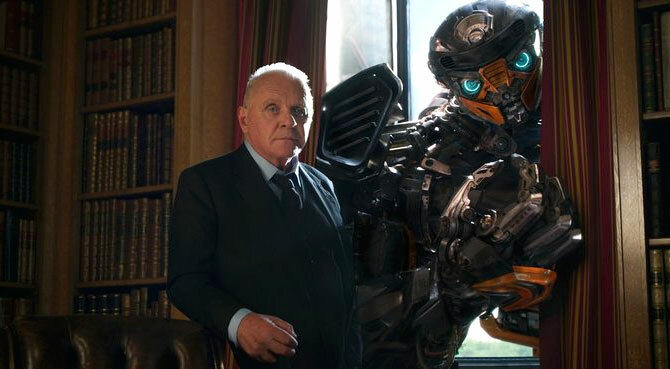 What stood out was Anthony Hopkins' narration and, of course, Optimus Prime. I looked forward to watching the film at IMAX, and even the pouring rain and Mumbai's bumper-to-bumper traffic could not dampen my excitement. Actually, this version of Transformers has No Beginning. Clues are thrown at the audience, who are supposed to figure it out between the action sequences -- that look they have tried to cram in too much in too little time -- starring Autobots, Cybertrons and Humans. Why, my brain kept asking. Hadn't I come to see the Transformers battle it out? Anthony Hopkins is a wonderful storyteller, who is wasted in the film. Seen behind him is the newly introduced Autobot Hot-Rod. The film has a wonderful cast. Mark Wahlberg as Cade Yeager is as good as he was in the previous version. The lovely Laura Haddock plays Viven Wembley, the last surviving member of the Witwicky family. She has no clue that her family has been protecting the Autobots and that it is now her turn. Such a waste of talent! And why does director Michael Bay make all the women in this franchise look like Megan Fox? If you want Megan Fox, cast her. Anthony Hopkins as Sir Edmund Burton is, despite being new to the franchise, impressive as always. He is one of the last members of an Illuminati-like secret society bent on protecting the Transformers and a magic staff that the Cybertron are after because, with it, they can take over Earth and rebuild their own planet. The staff has been on Earth since the time of King Arthur and Merlin. When Burton learns that a missing piece of the magic staff has been found by Yeager, he sends a crew of his personal Transformers to apprehend him. Laura Haddock is Viven Wembley, the protector of the Autobots. In the background is Transformer Cogman, Sir Edmund Burton's envoy. With an eerie resemblance to Star Wars' C-P3O, he is the only Transformer who does not change into a vehicle in the movie. The film does get interesting at this point, as we get history lessons, but they are rushed through so quickly that you will forget them by intermission! There are plots, within plots, within plots, which can get confusing. The person I missed most was Optimus Prime. But he is there only in the last 15 minutes of the film! And all he says, repeats actually, is 'I am Optimus Prime'. As much as I love his voice, it's a bit much. The villainous Megatron seems to get more footage than him! 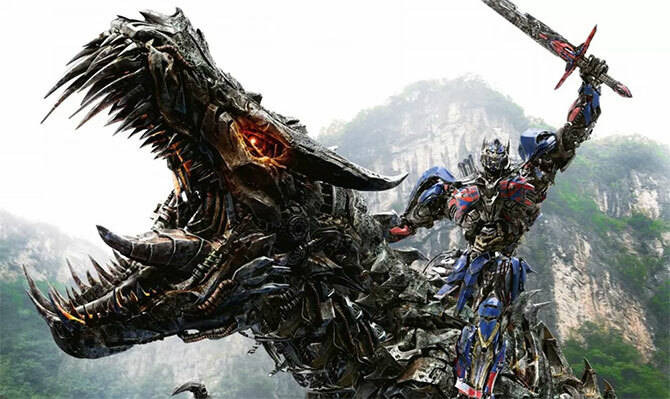 The spectacular Optimus Prime rides Grimlock, the commander of the Dinobots, for just a few seconds in the movie. The new Transformer, Sqweeks, is a small-frame, big-heart Vespa scooter. It could have stood out much more except for the film's strange need to cram in so much into its screening time. The action sequences make you cringe because they are a straight lift from the fourth installment in the Transformer series. I wish I could talk about the climax but am following the 'No Spoilers Ahead' rule. Instead, let me tell you what I enjoyed in the movie. VIDEO: Meet the Transformers who shone in The Last Knight. I enjoyed seeing the Unicorn make an entry into this franchise. Also, the Medusa-like character in the first visuals of the movie... that was a Quintesson. Now, Quintessons are strictly from the comics version of Transformers. In the comics, Quintessons were the original inhabitants of Cybertron and were the creators of the Transformers. The Transformers eventually rebelled against their cruel slave masters and threw them off the planet. I do hope the connection between Quintessa, who is the main villain, Optimus Prime and the Unicorn is explored in the next installment keeping -- unlike they did this time around -- the viewers in mind.